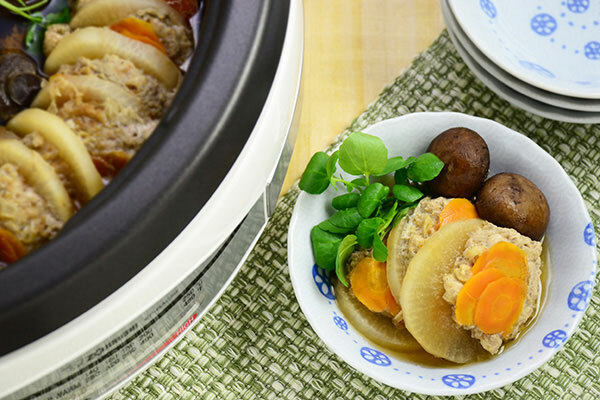 Daikon, carrot, mushroom and pork patty is simmered in dashi and soy sauce broth. 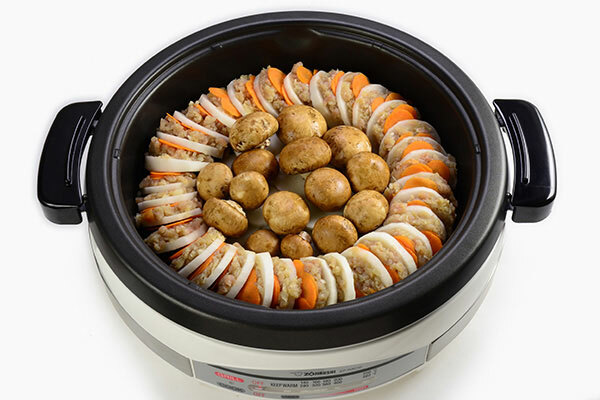 This hot pot is savory and easy to make. 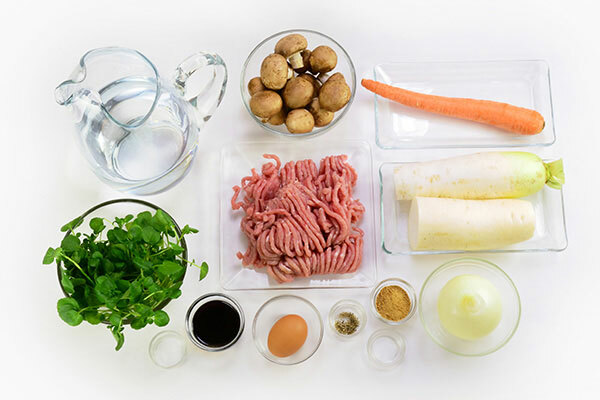 Make the pork patty. Mince the onion. 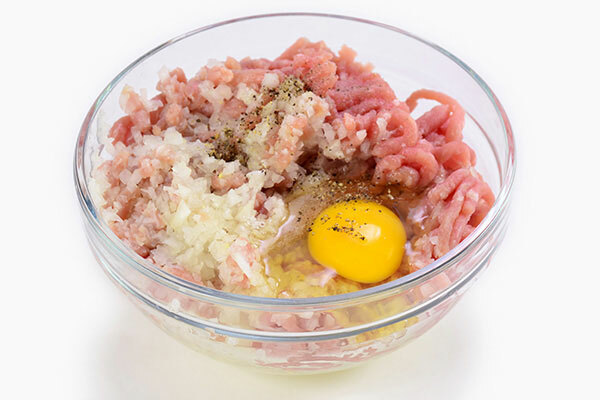 In a bowl, place ground pork, onion, egg, salt and pepper. Mix well and set aside. 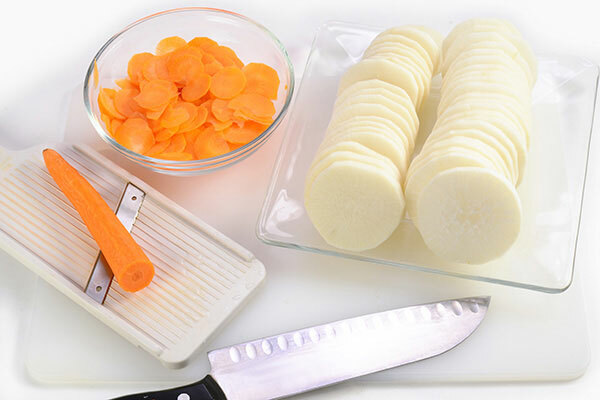 Peel skin of daikon and slice into 1/4 inch thick disks. 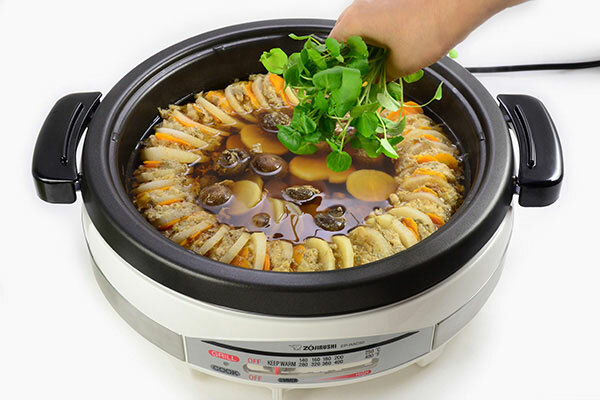 Peel skin of carrot and slice into thin coins using a slicer or by hand. 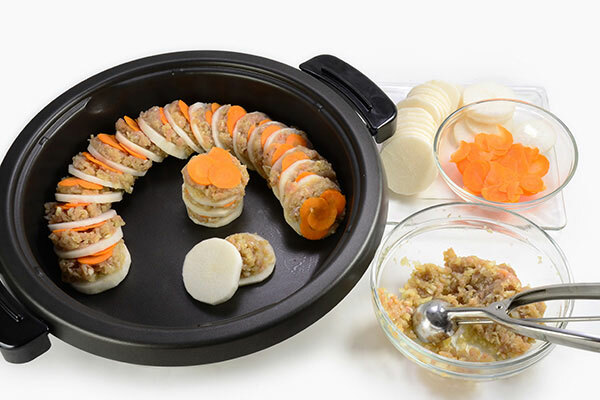 Fill the deep pan of the Gourmet d'Expert® Electric Skillet by alternately layering a slice of daikon, one heaping tablespoon of the patty mix, then a slice of carrot. Layer all slices until bottom edge of the pan is filled. Place any remaining sliced in the center. 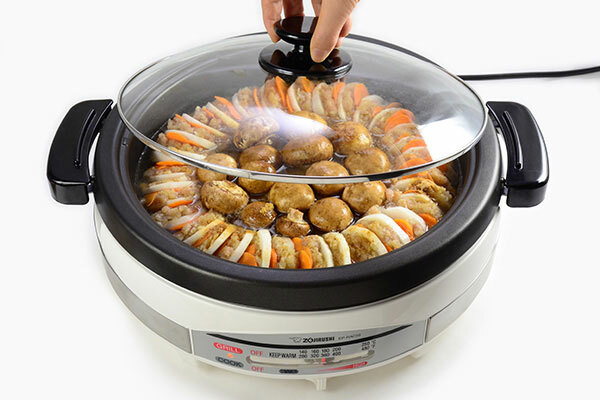 Set the pan to the main body, place mushrooms in the center of the pan. Sprinkle dashi powder, salt, drizzle soy sauce and add water to the skillet. 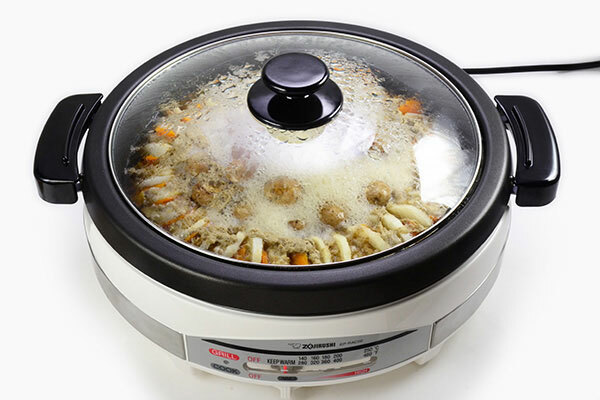 Place the lid and set temperature to 360ºF and bring to a boil. 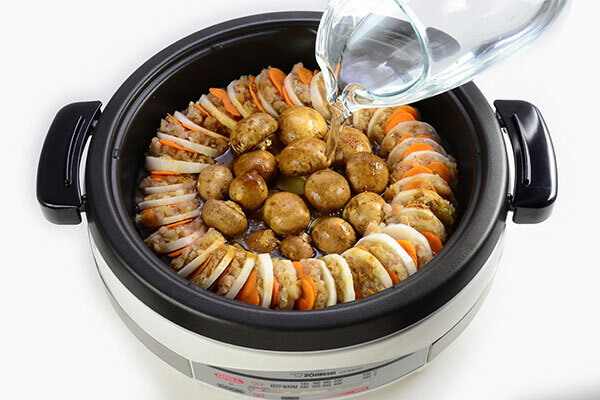 Reduce heat to SIMMER, cook 20 minutes or until daikon are tender in the center and slightly brown. 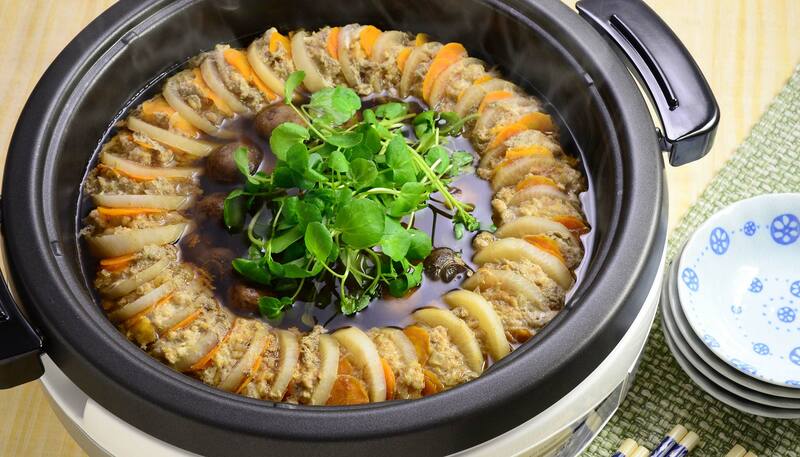 Open the lid, reduce heat to “Keep Warm” and add watercress at center of the skillet. Serve at the table.